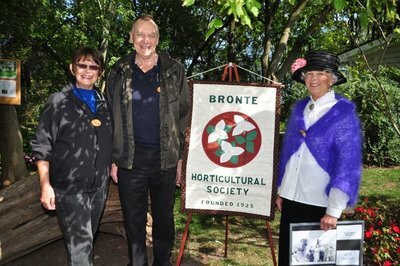 Like any non-profit organization, Bronte Horticultural Society is faced with major overhead costs like rent, speakers, donations to horticultural causes, and our own dues to the District, as well as a litany of minor expenses. Our annual membership dues only cover a part of these expenses. To offset overall deficits, Bronte Horticultural Society has raised extra funds through in-house raffle draws and conducting plant sales. 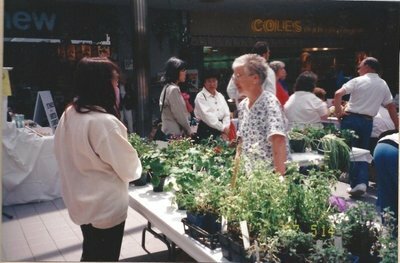 At a plant sale in 1995, in addition to selling plants, "children's packages" (packets of worms) and raffle tickets for a hanging basket were available for purchase. Plant sales in particular have always been popular. As far back as 1972, these sales became more organized on an annual basis when Hopedale Mall began an open bazaar for non-profit organizations. 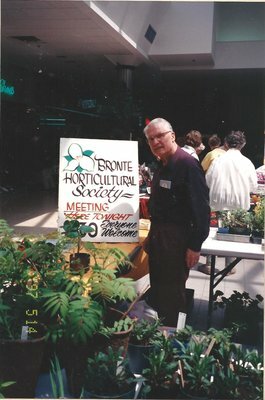 Bronte Horticultural Society was one of the first groups to take part in these sales at Hopedale Mall and was the last to move on after major changes occurred at this location. The plants we sell come from our own gardens. This means a lot of preparation work must be done. Each plant is examined on the basis of "Would you buy this plant?" before potting it up and labeling it. 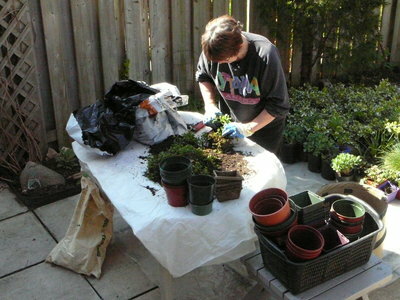 Potting usually takes place two to three weeks before the plant sale so that the plants can acclimate to their new environment and to ensure that they are robust and sales-worthy. 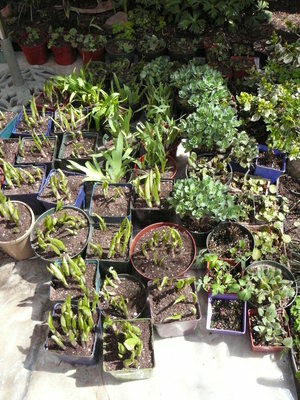 Plants repotted and ready for sale! 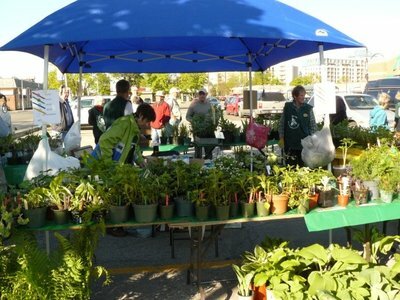 Since May 2013, our plant sale has taken place at the Bronte Village Mall. Our plant sales have become quite popular. We've had people come from as far away as London, Ontario because of our reputation of selling quality plants. Of course, an organization can exist only of it has members. This means reaching out to the public to let them know who and what we are and what we do. We do this through advertising our general meetings in the local newspaper, the Beaver, and since 2002, we have extended this public notice to the local cable company, Cogeco. 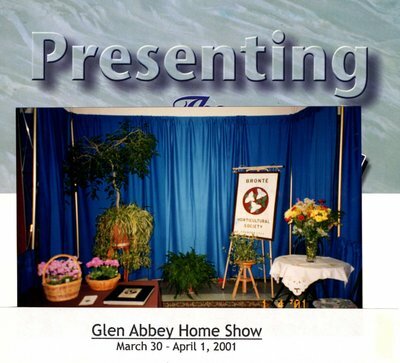 One of the venues used is the annual Glen Abbey Home Show, where we have promoted ourselves since 2001. Every attempt was made to both attract new members and to be informative by using pictures, posters and general gardening material. 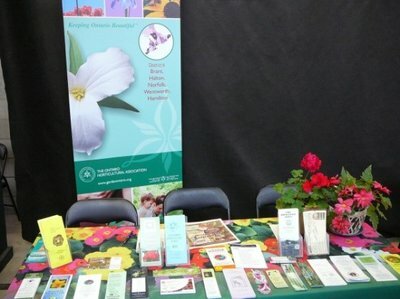 The Ontario Horticultural Association has, for many years, had a booth at Hamilton's Gage Park Mum Show, held each year in November. 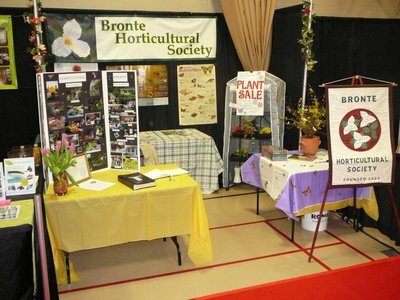 Each society is asked to help man the booth and Bronte Horticultural Society has been an active participant since the beginning. At left is the Ontario Horticultural Association booth with brochures from each society in District 6. As well as conducting a seminar for senior's day at the Sir John Colborne Centre for Seniors, where we also hold our general meetings, and operating at the Ontario Garden Show at the Royal Botanical Gardens, in recent years we have taken part in Halton Doors Open in cooperation with the Bronte Historical Society. At right, we're pictured ready to answer general questions about the gardens that we maintain at Sovereign House and the symbiotic relationship we have enjoyed with the Historical Society since 1995. We have also assisted the Kensington Retirement Living residence during Doors Open by conducting a tour and explanation of their rooftop garden. 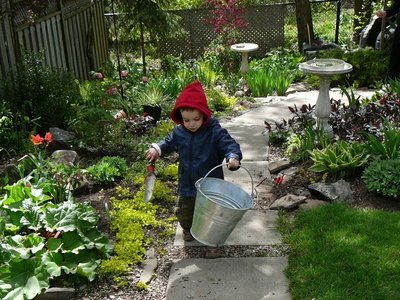 When it comes to gardening, it's never too early (or too late) to start. Canadian Literature icon Margaret Atwood once stated, "In spring, at the end of the day, you should smell like dirt."